Welcome to the second part of my new special column series, IT’S ALIVE! 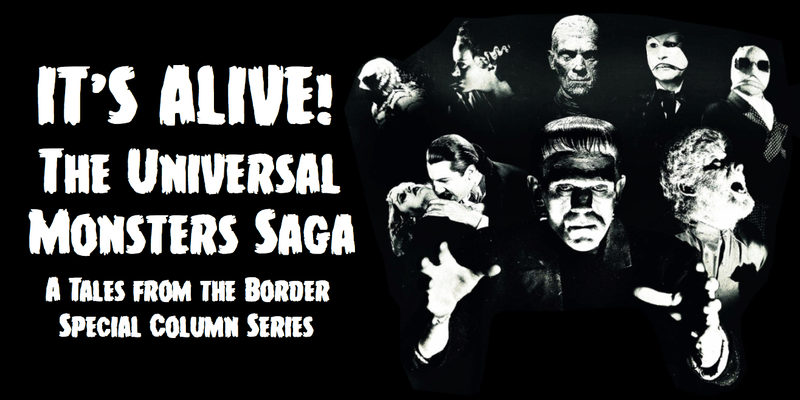 The Universal Monsters Saga, in which I talk about each of the classic Universal Monsters films from the 1920s—1950s. 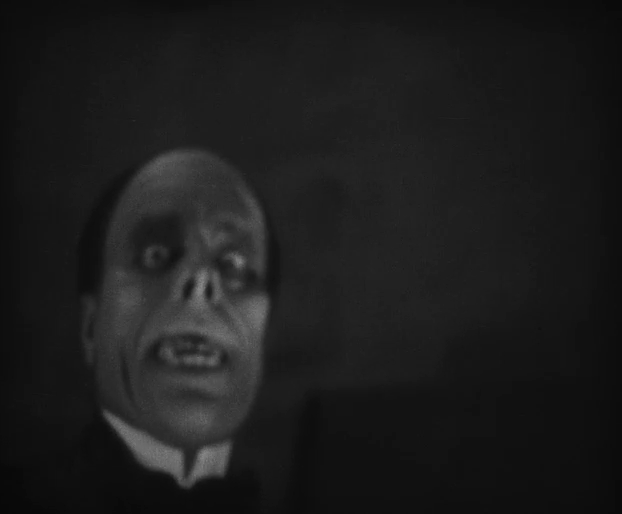 Today we look at the very greatest of Universal’s silent horror films, the bombastic and horrifying The Phantom of the Opera (1925), directed by Rupert Julian with contributions from Edward Sedgwick. If you wish to have a look at past articles, please click here. Enjoy! After the smash hit of The Hunchback of Notre Dame (1923), Universal was keen to capitalise on the success of that picture with another Lon Chaney gothic spectacle. The result was The Phantom of the Opera. Despite not earning as much as its predecessor, Phantom is easily the superior film. It abandons the historical and social themes of the earlier film to focus exclusively on the bloodcurdling horror of the Phantom. It would also give Lon Chaney his all-time greatest film role with his most iconic makeup, one that is still terrifying and sickly disturbing to this day. Journey back with me to 1925 as we rediscover the horrors that lay in the cobwebbed dungeons beneath the Paris Opera House. 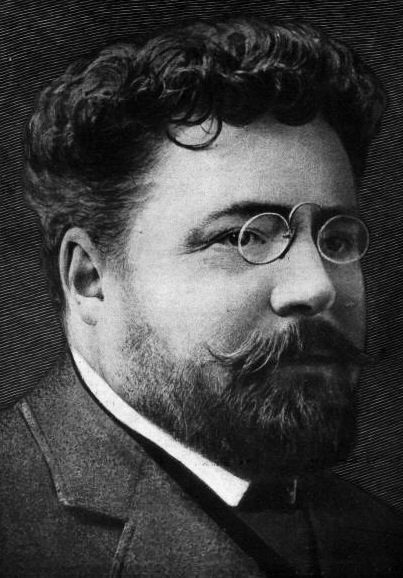 Gaston Leroux, the author of the novel on which the film would be based. This portrait was illustrated in 1907. The story of the film begins in the year 1922, one year before The Hunchback of Notre Dame debuted in cinemas. Carl Laemmle was taking a much-needed vacation in Paris when, in a moment that would go down in history, Laemmle met the French author Gaston Leroux, who was working in the French film industry. Their conversation ranged many topics but finally settled on Laemmle’s admiration for the Paris Opera House. 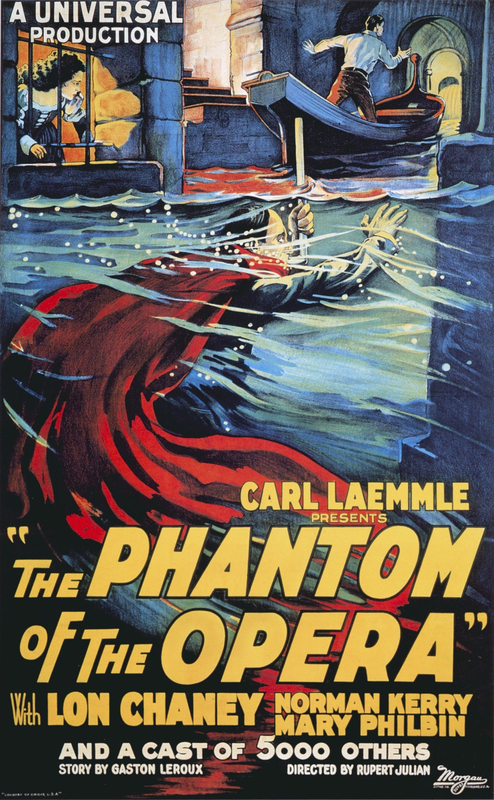 Unbeknownst to Laemmle, Leroux had written a serialized gothic novel set in the Paris Opera House, starring a mysterious figure known as the Phantom. The novel was collected into novel form in 1910 and first translated and published in English in 1911. Leroux gave a copy of the novel to Laemmle, who read the whole novel in one night and soon after bought the film rights. He saw a spectacle picture could be made from the novel’s story and quickly approving a budget of $1,000,000 He had only one man in mind for the titular role: Lon Chaney. Chaney took the prestigious role immediately and began working on his make up. Mary Philbin, a much-acclaimed actress, was cast as Christine Daaé, and Norman Kerry returned from The Hunchback of Notre Dame to play Vicomte Raoul de Chagny, a similar role in which he had the affections of Lon Chaney’s character’s true love. Lon Chaney’s makeup for the role of the Phantom is often regarded to be the closest anyone has come to replicating the Phantom from the original novel. Chaney envisaged the final look as being taut and skull like. To achieve this effect, he wore a bald cap with lank hair on top, and glued his ears to the side of his face. To accentuate the bones in his face he crafted cheekbones out of putty and glued them on top. To make his nose look more like a snout, a strip of material called fishskin was pulled to the tip of his nose, pulling it up, and then the other end was glued and fastened to his forehead. He then enlarged his nostrils with rings of wire and painted black greasepaint on the inside to make them look cavernous. He also added lots of black paint around his eyes and painted his lower eyelids white to make his eyes look bigger and to give the impression of hollow eye sockets. He also made his mouth look bigger by painting the lips red and wearing a pair of snaggled false sets of teeth over his own. The result of all of this is absolutely horrifying. To accentuate the surprise, Universal forbade any shots of Lon Chaney in makeup to be used in advertising the film. 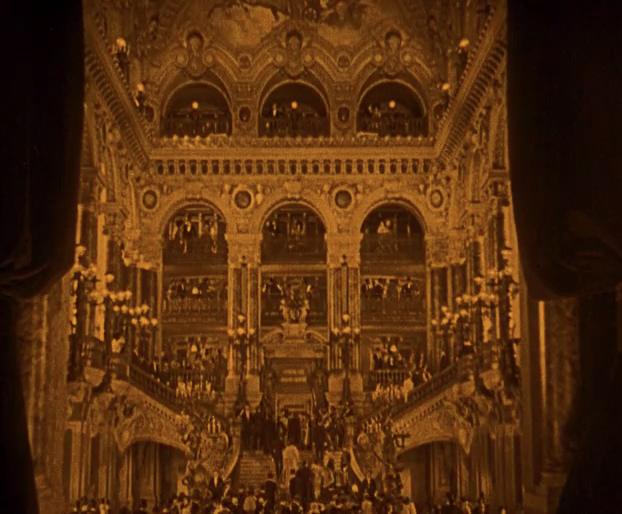 The Paris Opera House set, as seen here in the opening of the film, is truly breathtaking to see. Extensive sets were built for the film, the most famous of which was a complete reconstruction of the Paris Opera House interiors. It was famously one of the most intricate sets ever made in film history. As thousands of extras would be on camera during the Opera scenes, it also became the first set to be created with steel girders, set in concrete. The set was built on the famous Soundstage 28 on the Universal backlot, and would be used in many films to come in Universal’s future, including Dracula (1931), The Sting (1973), and The Muppets (2011). Before it was taken down (and preserved, don’t worry!) in 2014, the Opera House set was the oldest surviving film set in the world. Production began in late 1924, and unlike the earlier Hunchback, production was here fraught with difficulties. During the actual shooting of the film, Chaney and most of the cast and crew had very difficult working relationships with director Rupert Julian; Chaney in the end refused to talk with Julian, and Julian refused to talk with Chaney. Cinematographer Charles Van Enger ran back and forth, communicating to both on behalf of the other. Rupert Julian’s cut of the film was previewed in Los Angeles in January 1925 to much derision among audience members. Among the major worries was the original ending of the film, which featured the Phantom dying of a broken heart. With advice from Chaney and others, Universal told Julian to reshoot most of the film and to move it away from its gothic horror trappings, as it was feared the public wouldn’t want to see such a film. Julian left the production, bitter and angry. The Phantom is chased by the mob. In the background you can see the exterior of the set of Notre Dame, recycled from Lon Chaney’s earlier film The Hunchback of Notre Dame. Director Edward Sedgwick was assigned by Carl Laemmle to direct the reshoots, which resulted in a completely different type of film with new scenes written by Raymond L. Schrock and Elliot J. Clawson. Rather than the gothic thriller original the film was reconceived a romantic comedy with a few scenes of action. New subplots were added with new characters serving as comedic relief and an entirely new character called the Count Ruboff, a Russian played by Ward Crane, was conceived as romantic competition for Raoul. A new ending, in which the Phantom is chased through the streets and beaten to death by a mob was shot to replace the anti-climactic original. This new version was previewed in San Francisco in April 1925. The audience reportedly booed the film off the screen. Carl Laemmle, at his wits end, ordered for a third version to be devised by editors Maurice Pivar and Lois Weber. Most of Sedgwick’s material was abandoned, though the new ending remained, and much of Rupert Julian’s shoot was re-incorporated, though a few scenes and characters were cut out for the sake of brevity. A score by Gustav Hinrichs was commissioned, but it was not ready on time so a slap-dash score composed of “French airs” and Faust cues was put together by Eugene Cont. The film debuted on September 6th, 1925, with a full orchestra playing the score. Reception was positive, with Mordaunt Hall of The New York Times noting that whilst the film was successful as spectacle, the acting could be improved. Time similarly praised the spectacle but thought the film itself was “only pretty good.” Despite these reviews, the film was another box-office smash, grossing more than $2,000,000. Not as much as The Hunchback of Notre Dame, but still a marked success. Universal Pictures were at the time interested in pursuing a sequel. After the successful kick off of “talkies,” or sound films, from 1928-29, Universal announced a sequel was being planned with permission from the Gaston Leroux estate. The film would have been called The Return of the Phantom, be in sound, and in colour. However, with Chaney at rival studio MGM and under a strict contract (he had left when his good friend Irving Thalberg departed Universal, as his allegiance was always to Thalberg and not the studio), Universal decided against a sequel and instead came up with the idea of a re-issue of the original but with dialogue recorded over the film. Philbin and Kerry returned to their roles for reshoots that replaced nearly half of the film, while other actors who were unavailable were just replaced. However, Chaney’s portrayal remained silent, as advertised, due to contractual obligations, so another actor simply read dialogue over the shadows of Chaney. The reshoots were directed by Ernst Laemmle and Frank McCormick, with Joseph Cherniavsky arranging music. The re-issue arrived on February 16th, 1930, and made the studio another $1,000,000. This version of the film is now lost, although the fifth reel remains, and can be viewed on the BFI blu-ray release of the film. The sequence in which the Opera House chandelier crashes into the audience is a memorable moment of the film. Despite rumours of a shadowy, threatening presence known only as the Phantom (Lon Chaney), the Paris Opera House sells to two new managers who scoff at the idea of the Phantom. However, they soon see the Phantom himself, if only for a second, in Box Five of the Opera House. Carlotta (Mary Fabian), the soprano who plays the part of “Marguerite” in the currently showing opera Faust, starts receiving threats that if she doesn’t let up and comer Christine Daaé (Mary Philbin) perform her role, terrible consequences will follow. These letters are forwarded to the new managers, but they scoff at these two. Lo and behold, the humongous chandelier in the theatre falls mid-performance and crushes numerous patrons. The Phantom’s visage is revealed in one of horror cinema’s most iconic moments. Meanwhile, Christine Daaé has been courting the Vicomte Raoul de Chagny (Norman Kerry). She has also been mentored by a mysterious voice in her dressing room, improving her voice. She is told continually that she must forget Raoul and focus only on her career. After the chandelier crashes, she finally meets her masked “master,” who takes her to his underground lair in the disused former dungeons underneath the Opera House, which have since been flooded. The figure confesses his love to her, and says that no peril shall come to her so long as she never looks underneath his mask. She immediately ignores the advice, ripping the mask from his face – revealing the ghastly, grotesque face of Erik, otherwise known as the Phantom. Both horrified and terrified, Christine screams in fear. Heartbroken, the Phantom allows her to return to the Opera House for a time, but orders she must never see Raoul again, or death will follow. 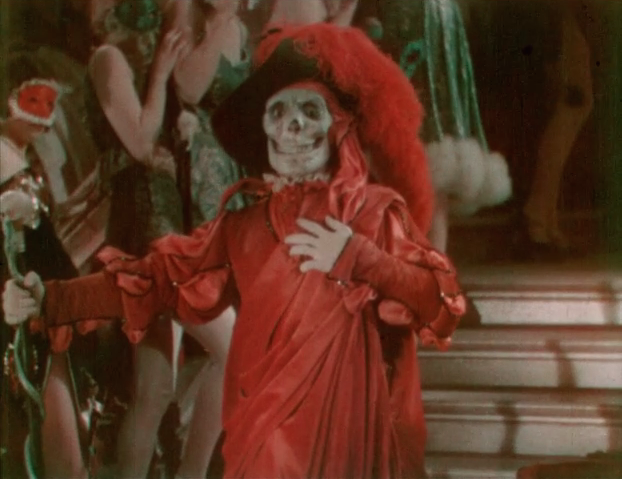 The Phantom appears at the Grand Masque Ball, dressed as the Red Death from Edgar Allan Poe’s short story “The Masque of the Red Death,” in a rare technicolour scene. As soon as she is free, Christine sends a letter to Raoul, saying they must meet again. They plan to meet at the Opera’s Grand Masque Ball, where hopefully their disguises will stop the Phantom from realising they are communicating. Nonetheless, the Phantom makes a grand appearance, dressed as the Red Death. Raoul and Christine disappear to the rooftop, and unaware that the Phantom is perched on the statues above, Christine relates the story of her journey to the Phantom’s underworld. Together they plan to escape to England. Heartbroken that Christine called him a “monster,” the Phantom declares his vengeance. Ledoux and Raoul must escape a series of increasingly complex death traps. The Phantom then kidnaps Christine mid-performance and takes her to his lair. Raoul and the mysterious Inspector Ledoux (Arthur Edmund Carewe), a member of the secret police, traverse the underground dungeons, getting caught in an increasingly dangerous series of death traps. Ledoux had previously realised that the Phantom is actually Erik, an insane criminal mastermind that escaped from Devil’s Island and has been in hiding ever since. Only when Christine appeases the Phantom by agreeing to marry her does he spare Raoul and Ledoux. 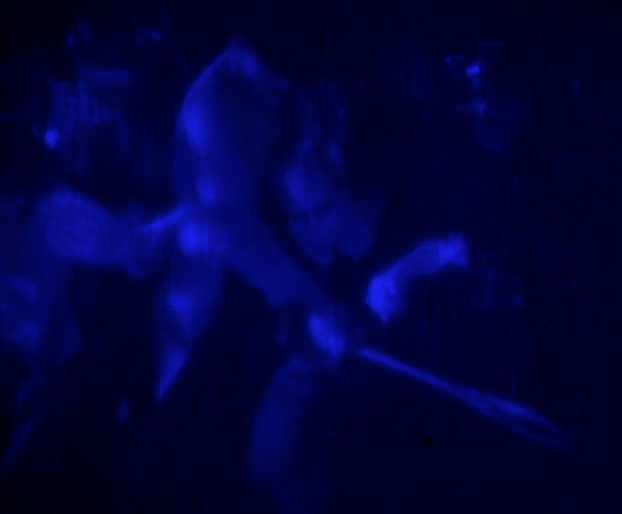 The Phantom is taken by the mob, beaten to death, and dumped in the river at the film’s climax. Meanwhile, a mob forms after discovering a backstage worker has been hanged for knowing too much about the Phantom. They plunge into the inky waters of the flooded dungeons, torches aloft. The Phantom, hearing the mob coming, steals Christine and places her in a carriage, which he begins to drive. The carriage crashes, and the Phantom runs for his life. The mob catches and beats him to death before throwing him in the river. Christine and Raoul are reunited. I had seen The Phantom of the Opera several times when I was a small child and remembered liking it, but hadn’t properly seen it for years when the BFI blu-ray release hit the stores. Buying that as soon as I could, I have since watched The Phantom several times. It’s shot up to being one of my absolute favourite silent horror films, and without a doubt the very best American silent horror. The Phantom of the Opera, in many ways, is exactly what the critics of the day said. The story of duelling sopranos and the insipid love of Raoul and Christine is not very interesting. But that’s not really what the film is about. This film is about one thing and one thing only: Lon Chaney’s Phantom. The filmmakers knew that was what the audience wanted to see, and thank god they realised that by the time the third cut of the film was made. 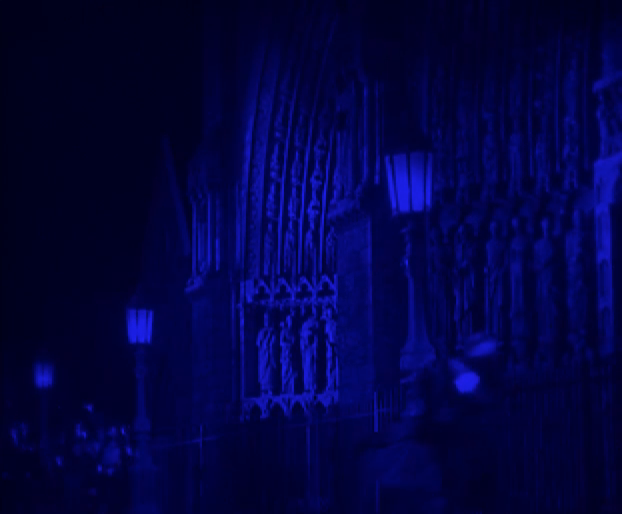 Rupert Julian’s gothic horror masterpiece, combined with Edgar Sedgwick’s much better ending, is an amazing film. I wanted to remind people that the lowest types of humanity may have within them the capacity for supreme self-sacrifice. The dwarfed, misshapen beggar of the streets may have the noblest of ideals. Most of my roles since The Hunchback, such as The Phantom of the Opera, He Who Gets Slapped, The Unholy Three, etc., have carried the theme of self-sacrifice or renunciation. These are the stories which I wish to do. The iconic out-of-focus close up of the Phantom is one of the most eerie and terrifying in the history of horror cinema. Quasimodo may have met the criteria above, but in the final version of The Phantom of the Opera, the titular character is not self-sacrificing or noble, and he doesn’t renunciate his actions. The Phantom is a truly evil, terrifying, and sadistic figure, and because of this the role is unforgettable. Chaney is incredible in this film. His makeup is nothing short of absolutely terrifying. The first close up of his face, slightly out of focus, is without a doubt one of the most iconic and brilliant close ups in cinema history. Norman Kerry and Mary Philbin are a match made in heaven as the film’s romantic element: they are both as stiff and forgettable as each other! Mary Philbin and Norman Kerry are rather forgettable in the film. Philbin in particular is stiff and overdramatic; often her movements are unnatural and forced, even for silent cinema. Arthur Edmund Carewe is stern and mysterious as Ledoux. One only wishes that he had a bigger part in the film, or that the role of Raoul and Ledoux were combined into one character to match the Phantom both physically and mentally. Nonetheless the film doesn’t focus too much on these roles – Lon Chaney is the star here, and he gets it. The labyrinthine underground dungeon sets are wonderfully atmospheric and gothic. The only real stars of the film other than Chaney are the sets. The recreation of the Paris Opera House is marvellously beautiful and detailed, and in the long shots of the interior creates much spectacle as thousands of extras can be on screen at any one time. Likewise, the shadowy flooded dungeons are wonderfully crafted and haunting. Chaney rowing the boat with Philbin on board is a particularly memorable image. The film’s cinematography makes great use of the sets, making it (along with The Thief of Bagdad (1924) and Metropolis (1927)) one of the greatest spectacles of silent cinema. Rupert Julian’s direction of the film has been criticised, but I think it’s superb. Whilst his voice doesn’t make itself too clear, unlike other silent directors such as Erich Von Stroheim, F. W. Murnau, and Fritz Lang, Julian is a competent director when it comes to the pace of the film, as well as constructing brilliant sequences of suspense. The first half of the film is spent in build up – we hear stories about the Phantom, see his shadow, and his masked form in the shadowy dungeons. Spending time doing this creates a palpable sense of eeriness and muffled terror. And when the Phantom is finally unmasked, the film continues at a breakneck speed towards the climax. Julian’s navigation throughout the dungeons is particularly memorable, and easily one of the best parts of the film. Whilst some critics believe that the director’s vision should have been left in tact and the ending unchanged, I for one think Sedgwick’s alternative ending is a better ending than the Julian’s original and the ending of the book. The Phantom’s demise is particularly well executed; feigning that he has a bomb, he is surrounded by a mob who refuse to get too close. He could walk out of the crowd and disappear; but instead, he reveals the trick and starts laughing his head off. He is then swarmed by the mob, who tear and beat his body before flinging it into the river. A brilliant, shattering climax if there ever was one. Carl Davis’ score for The Phantom of the Opera, which debuted in 1996, is incredible. One further note: there has never been a definitive score to accompany the film, and neither is there a definitive print to see. The print I saw, which was restored by Photoplay Productions in the 1990s with Kevin Brownlow, is a wonderful viewing experience. Made up of elements from a 1929 reissue, the restoration has been tinted beautifully and is accompanied by a score composed by Carl Davis. Carl Davis has re-scored numerous silent films now, among them The Thief of Bagdad. Here, he fails to disappoint, crafting a truly mesmerising soundtrack for the film. 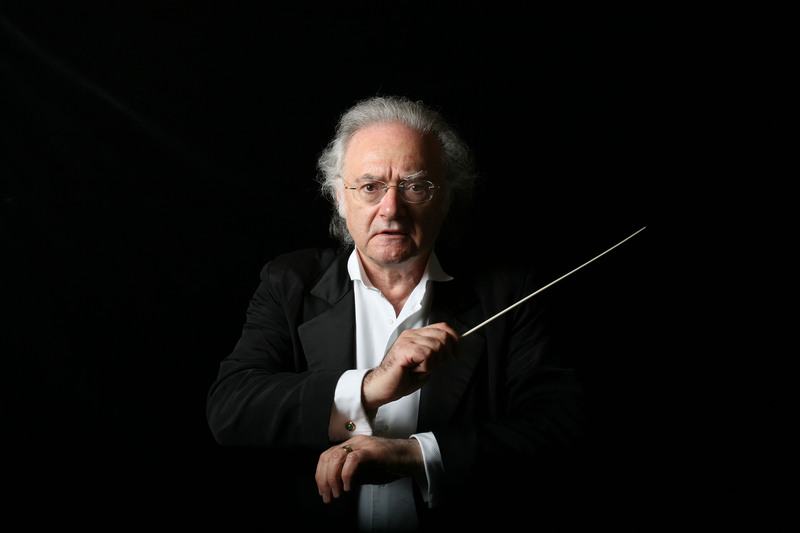 The presence of the Opera House doesn’t go unnoticed, and many times his score serves as the music that would accompany the Opera being performed. He interlays this, in moments of menace or danger, with rising, scary music, creating an atmosphere and presence that lacks in other scores. This technique is also used when the Phantom is unmasked. As the Phantom is playing the organ, this serves as the main source of music in the scene. As Christine leans in closer and closer to grab the mask, suspenseful music rises in volume and starts to put out the organ music. Davis’ score is truly operatic; just like the film itself. It’s a truly brilliant piece of music. I urge everyone to seek out this version of the film, which can be found on the BFI blu-ray release. 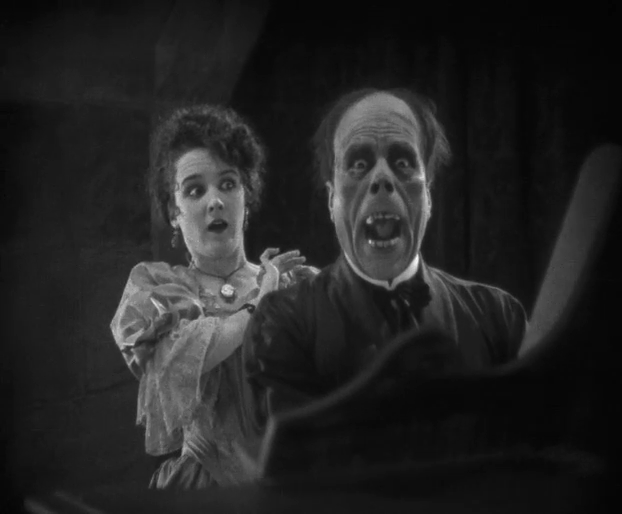 All in all, despite a less than stellar supporting cast and some plodding subplots, The Phantom of the Opera overcomes these qualities with an all-time classic performance by Lon Chaney. It is one of cinema’s very best performances and an iconic one of horror cinema. Furthermore, the giant scale of the spectacle, with the beautifully made set of the Paris Opera House, and the sets of the watery, inky, dark dungeons, add much to the atmosphere, as does Rupert Julian’s competent direction. The film is fast-paced, kinetic, and scary. It’s a classic of silent cinema and one of the best gothic horrors of the period. Not to be missed. Truly unforgettable. In the next edition of IT’S ALIVE! The Universal Monsters Saga, we’ll be moving forward to the year 1927 to examine an obscure silent horror film from Universal which was one of the very first “old dark house” films from Hollywood. Join us next time as we navigate the darkened corridors and spooky basements, where many have been lost and never found. Until then – never go into Box Five! That’s was extremely interesting! Very informative thank you for writing this. Wonderful job Andrew! looking forward in celebrating my new revised version of the Golden Mask!!! Would love to see it when it’s done!